Refrigeration Service & Repair by Climate Solutions, Inc. 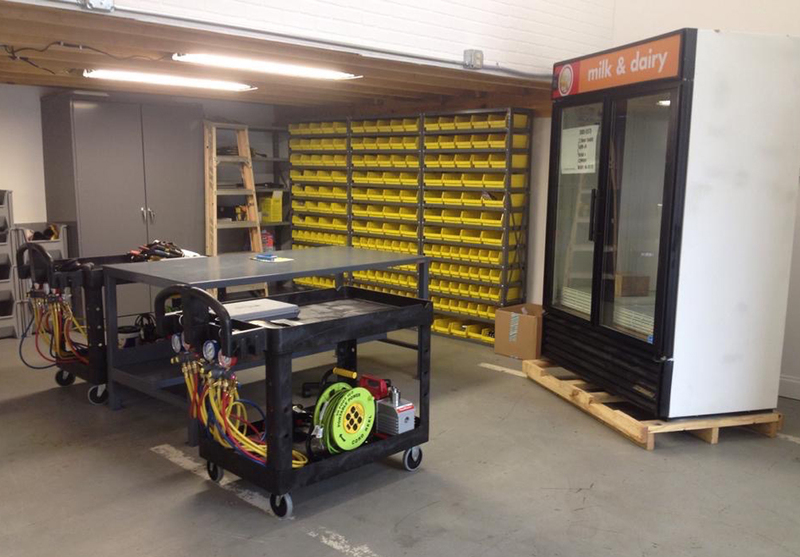 Climate Solutions, Inc. is ready and waiting to refurbish and rebuild your commercial refrigeration equipment for a fraction of the cost of purchasing new cooler or freezer units. 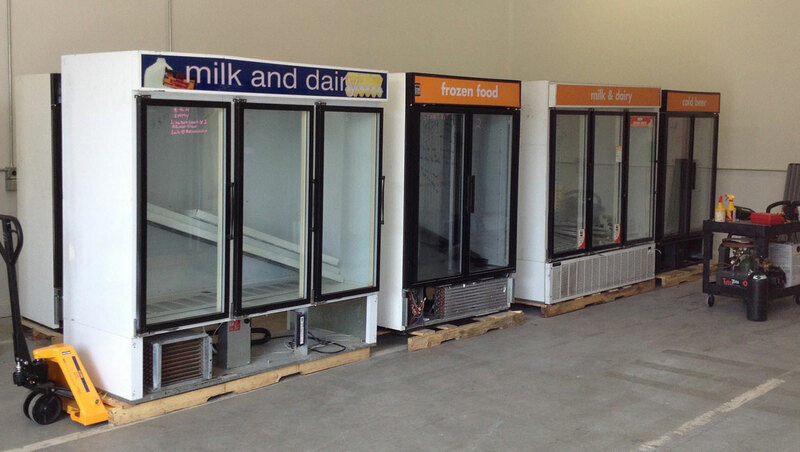 We specifically tailor to national retail chain stores and repair thousands of refrigeration units per year. Our massive 30-dock facility located in Cornelius, NC is ideally suited for repair and refurbishing refrigerated merchandisers. All electrical and refrigeration components will be tested for proper operation before moving on to detail and cleaning. Our detail crew cleans and sanitizes the entire interior of each unit and repaints the housing to insure each unit looks just as if it had come from the factory brand new. In most cases, the unit will be returned to you looking better than it did when it arrived! Finally, we provide a hassle free warranty on the work we provided for you. So, contact us today and find out how we can save you thousands, or even millions, of dollars on your refrigeration program as we have done for so many others! We can repair and refurbish all of the most trusted brands in the commercial refrigeration industry. Click here to go to our Refrigeration Products page. Please contact us with any questions regarding our refrigeration services.